John Doyle is a city boy who's never been to the outback. 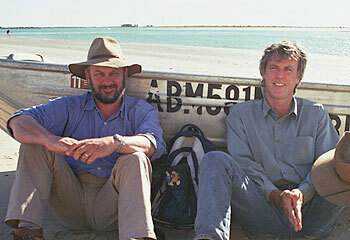 Dr Tim Flannery, is one of Australia's leading scientists who knows the bush like the back of his hand. For years, John and Tim have been taking boating trips together but until now their expeditions have been confined to exploring the nooks and crannies of the Hawkesbury River aboard the Bismarck, Tim's 3-metre aluminium 'tinnie' that has only been sunk once - by John. Now, in this five-part series, they've decided to head further a-field and take the Bismarck on a journey into the heartland of Australia, to unravel the secrets of our greatest river system - the Murray-Darling.